Cole Williams is the founder of The Son to a Father Project and The Son to a Father Parenting Skills Training Program. These are a series of curricula and workshops that explore the journey of fatherhood. 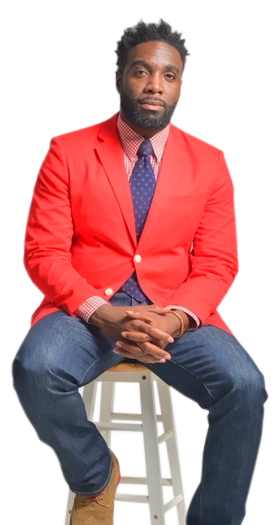 Cole is a Motivational Speaker, Parent, Mentor and Community Leader in Grand Rapids, Michigan. Where he has over ten years of experience working with adolescent males who come from abusive and neglectful backgrounds. Cole Williams is a licensed foster and adoptive parent through Lutheran Social Services of West Michigan. Where he provides a healing place for teenage males diagnosed with ADHD, PTSD, ODD, RAD and many other diagnoses. Cole’s most recent work has been dedicated to penetrating the culture of the Kent County Juvenile Detention Center. As a teacher he provides a life skills and leadership program for “At Risk Youth” and their parents. Additionally, Cole Williams and his son’s are working together as a trio to provide a parenting enrichment workshop series for incarnated fathers who are returning home.